In this lesson we will finish chapter 14 of the Gospel of John and study His closing thoughts in this discourse. Central to these verses is the wonderful promise Jesus gives to His followers of every era and nation. It is found in verse 27, “Peace I leave with you; my peace I give you.” This is actually a very challenging promise, but you will have to listen to the podcast to get the answer. In our continuing study on the Gospel of John we will examine verses 18-24 of the fourteenth chapter. Central to these verses is the wonderful promise Jesus first gave those early disciples and now us, “I will not leave you as orphans; I will come to you.” It is of great value to learn what Jesus was teaching about this promise and how it applies to our lives, so don’t miss this lesson. We will study the rich lessons Jesus gave us in John 14:13-17. Prayer is the central theme of this portion of Scripture, but it has a unique emphasis that is on the disciples operating through the power of the Holy Spirit to perform miracles. We will learn about the four conditions Jesus gave so our prayers will be answered. This message will help you grow in your prayer life and challenge you to let the Lord do greater things in and through you. John 14:2-12 are the verses we will be studying today. Jesus will teach us a little of what is in store for His disciples and what it means that He is preparing a place for us. We will then examine Christ’s famous declaration, “I am the Way, the Truth and the Life” and see His exclusive claim for salvation. Finally we will look at the phenomenal promise that if we will have faith in Jesus then we will do the miracles He did. In this study we begin looking at John 13:35, “By this all men will know that you are my disciples, if you love one another.” This very challenging verse presents to us the mark of a true follower of Jesus and we will learn what this means. Then we will move on to chapter 14:1-3 and dig into what Jesus meant by His statement, “Do not let your hearts be troubled. Trust in God; trust also in me.” Then we will close out the podcast highlighting the theme of verses two and three that are about a longing for heaven. This is a very moving lesson, so don’t miss it. John 13:26-38 are the verses we will study in this lesson. We will touch on such subjects as prayer, gossip, betrayal and love. We will close the lesson with Jesus’ famous statement in verse 34, “”A new commandment I give to you, that you love one another; as I have loved you, that you also love one another.” This is a soul-stirring message. This lesson is on John 13:12-26 that begins with Christ’s explanation of the foot washing that is recorded in the first eleven verses. A couple of the subjects that come out of this event is our Lord’s teaching on servanthood and servant-leadership. We will also examine where Jesus shares about His coming betrayal by Judas. The final point is on the depth of love John had for the Lord and what we can learn from such devotion. This lesson is on the account of Jesus washing the disciple’s feet that is found in John chapter 13. The Biblical faith is all about being like Jesus and in this story we can see Jesus a little more clearly so we know a little better of what it means to be one of His followers. In this lesson we will dig into the final seven verses of John 12 where Jesus boldly declares His divinity. This is the final teaching that He gives in public. We will also look at verse one of chapter 13 which is about the final Passover Jesus celebrates. The opening event John writes about is where Jesus washes the feet of the disciples. This is a very interesting section of Scripture that I know you will enjoy. In this lesson we will look a little deeper at what Jesus meant in Jn. 12:32, “But I, when I am lifted up from the earth, will draw all men to myself.” We will then move on to the following points of chapter 12 and close with John’s very interesting claim that Jesus is the One who sat on the throne in the vision Isaiah had that is found in the sixth chapter of the book that bears his name. This is a very interesting study so make sure you listen to this one. In this podcast we will look at Jesus’ famous declaration in John 12:32, “But I, when I am lifted up from the earth, will draw all men to myself.” We will study the verses that lead up to this powerful statement about the power of His work on the cross. This is a challenging lesson so don’t miss it. In this podcast we will study John 12:26, which is the fourth truth Jesus taught on how we can know Him. There are three points within this verse that we will study, which are being like Jesus, being with Jesus and being honored by our Heavenly Father. There are some wonderful truths we will examine in this lesson so don’t miss this one. In this podcast we will be studying only one verse–John 12:25. This is the third point Jesus made in reply to some Greeks that wanted to meet Jesus. All I will tell you about this lesson is that it is radical and that you need to listen to it and ask the Lord for grace to live it out. Today we will examine verse 24 of John’s Gospel. This very powerful statement by Jesus teaches us an integral part of what it means to be one of His followers. This verse also reveals the explosive nature of the Biblical faith and how the Lord is wanting to use simple folk like you and me to fulfill the Great Commission. Don’t miss this one! We are continuing our study of the Gospel of John and are now in the twelfth chapter where Jesus is talking to some Greeks. These men came to the apostle Philip with a request to meet with Jesus. In the 23rd verse Jesus told these men, “The hour has come for the Son of Man to be glorified.” What Jesus is teaching here is very radical and challenging, so don’t miss it. As we dig deeper into chapter 12 of John’s Gospel we will see the great impact that came out of Jesus raising Lazarus from the dead. We will then look at Christ’s triumphal entry into Jerusalem and then close out the lesson by looking at some Greeks that wanted to meet with Jesus. 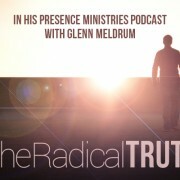 There are some very interesting and challenging truths that we will study in this podcast so don’t miss it. In our continuing study of the Gospel of John we will dig into the story of Mary anointing Jesus with pure spikenard. The account is found in John 12:1-8 and is one of the most wonderful expressions of worship in the Bible. Mary’s extravagant devotion is an example to inspire anyone that wants to be a true follower of Jesus. This study is sure to challenge your faith and devotion to Jesus. This is the final lesson on John 11 which will conclude the account of Jesus raising Lazarus from the dead. We will see what this miracle accomplished and then see how that relates to us. There are some very practical and challenging points made in this podcast, so don’t miss it. Merry Christmas! This podcast is a short Christmas greeting with an awesome Christmas song. ENJOY! In this podcast we will see Jesus raise Lazarus from the dead and all the drama that leads up to this phenomenal miracle. The truths that are in this section of Scripture are life changing if we will live them out. This message can change your life. In this podcast we will begin studying John chapter eleven. We will look the events that lead up to Jesus raising Lazarus from the dead. He will make the bold and wonderful claim that He is the resurrection and the life. With this declaration He once again present the absolute and exclusive claim that He is the only Savior and the only way to heaven. This is a soul stirring message, so don’t miss it. In this study we will finish chapter ten of the Gospel of John. The climatic statement in this section of Scripture is found in verse 30 where Jesus declares, “I and the Father are one.” Jesus is clearly and boldly revealing that He is God incarnate. This statement infuriated His antagonist and they once again tried to stone Him to death. But Jesus calmly continued to preach this remarkable message and then left the Temple in Jerusalem to minister where John the Baptist first began His ministry. This is a wonderful portion of Scripture to study. In our continuing study of the Gospel of John we will look at chapter ten verses six through twenty-one. Jesus is in the midst of this wonderful teaching on His being the Good Shepherd He adds another descriptive name by calling Himself the Gate to the sheep pen. He is both the one that lovingly cares for His sheep and He is the only way of salvation. This lesson will challenge you so don’t miss it. In this lesson in our study of the Gospel of John we will finish chapter nine and begin chapter ten. The end of chapter nine is about Jesus seeking after the blind man He healed and reveals Himself to the man. The account is very touching and reveals another facet of our Lord’s compassion. Chapter ten is actually a continuation of the events found in the ninth chapter. We will only examine the first five verses in this episode that begin Christ’s teaching that He is the Good Shepherd. This message will stir your soul. In this lesson we will look at the majority of John chapter nine that is an account of a man who was born blind and healed by Jesus. This is an astounding story where you see the contrast between the self-righteous Pharisees and the humble blind man. It is the former blind man that comes out of this confrontation the winner, not only because he was healed by Jesus, but that he also made the Pharisees look very foolish. This is an encouraging and challenging message so don’t miss it.